Growing and potting your own flowers, herbs, or other plants at home is a great activity to do when the weather is cooperative. If you have flowers that need to be potted, then there are a few options that you may want to consider. One option is to build your own potting shed. 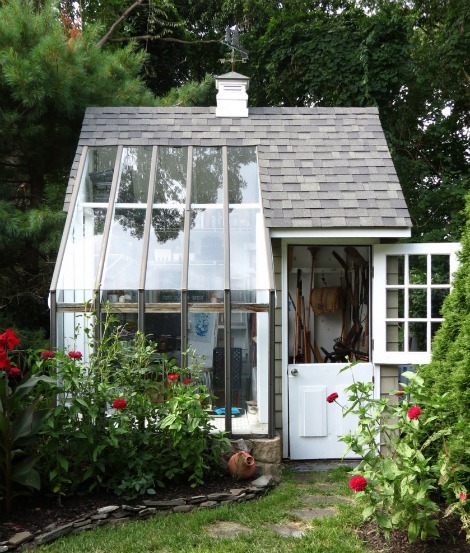 There are many ways you can build a potting shed on your property. The type of shed you build will be based on a lot of factors like the size of the building and if it needs to be in a specific location. You may also want to have sunlight available. A set of plans can be used if you want to build a potting shed on your property. However, the plans you use may need to be modified to meet your needs. All you need to do is determine if your property has a place that is perfect for the addition of a shed.